In the current context of climate change, the wine ­industry is facing multiple challenges, including ­adapting its practices and reducing greenhouse gas emissions related to its activities. In response to these challenges, recognising the need to assess climate and its impact on viticulture at the ­vineyard scale, the LIFE-ADVICLIM project aims to study climate change adaptation and mitigation ­scenarios for a range of vineyards which represent the climatic ­diversity of ­European wine regions. The LIFE-ADVICLIM project will develop climate change ­adaptation and mitigation strategies which can be ­used in European wine regions, and demonstrate their application at the vineyard scale. The project’s measurement ­network and web platform will ­enable wine producers to ­assess the impacts of climate change on their plots, ­simulate adaptation scenarios, and measure the ­greenhouse gas emissions related to their practices. 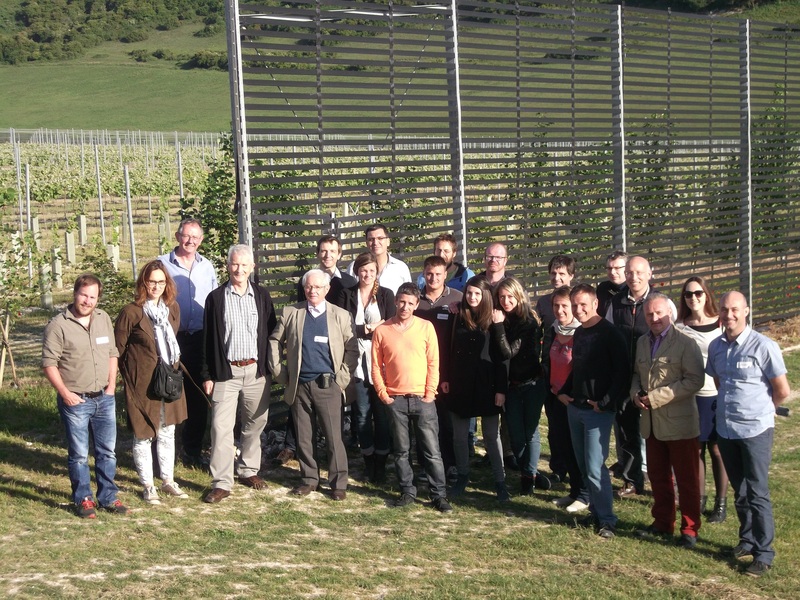 These ­technologies are being ­tested on demonstration sites in five ­European vineyards ­regions (Cotnari, Rheingau, Bordeaux, Sussex and Val de Loire), thanks to funding from the Life ­programme. Climatic and agronomic observations (timing of flowering, sugar content of berries, etc.) will be carried out in the project’s vineyards to assess the spatial variability of atmospheric factors (particularly temperature) at the vineyard scale. Some of the selected vineyards use networks of sensors which are equipped with transmission systems which generate real-time data. This data will be fed into a climatic computer model linking weather, agronomic observations and site elements (such as topography and soil type), in order to better understand the interaction between these elements in the vineyard. The model outputs will then be fed into other climate change models in order to simulate climatic conditions and their effects on viticulture from 2050-2100. Adaptation strategies will be investigated, through modelling human activities in the vineyard, by integrating the response of different factors to exogenous variables; principally biophysical, socio-economical and regulatory constraints. The objective is to simulate and assess the impact of climate variability on the growth of the vine and on the vinegrowers’ adaptive capacity. This will result in the development of a multi-agent system, modelling viticultural interventions in the field within a climate change context, and analysing the evolution of vinegrowing strategies. The greenhouse gas emissions generated by the practices responding to different adaptation scenarios will then be calculated. The measurement and integration of carbon impact into the multi-agent model, according to the selected cultural practices and scenarios, will also enable the assessment of different emission factors. The final part of the project will be the communication of its findings to the European wine sector, in order to inform and influence wine professionals and their policies. This will be carried out by Ecoclimasol through the creation of the VIDAC platform, which will gather all the project data, including that from meteorological stations, satellites, model outputs, and carbon footprint calculations. A user-friendly interface will allow those involved in the project to visualise the data collected in their fields, as well as other information relevant to their decision-making process. Future climate scenarios and carbon footprint calculations will also be included in order to promote awareness of climate change issues. In addition to the project partners, other European wine producers will be able to access the results through a web-based data-archiving centre and visualisation platform.